In this tutorial I’ll show how you to create a custom Lucene Search facet from taxonomy and integrate into the search form block. A great first step would be to review the Drupal Lucene API documentation (see luceneapi.api.php PHP file in the luceneapi module folder). 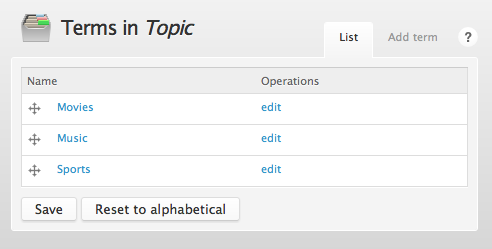 I added a new vocabulary called “Topics”, and added a few terms (admin/content/taxonomy). 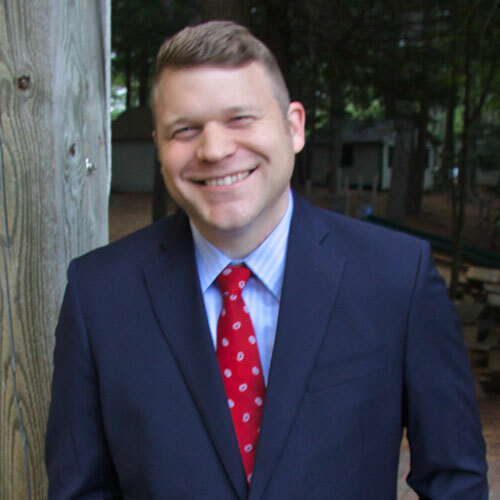 The goal of this code is to integrate the Topic vocabulary into the search form block to allow the user to select a taxonomy term as they search. To start, you need to implement a hook_luceneapi_facet_realm() and a callback function in your custom module. At this point if you go to the facets admin page (admin/settings/luceneapi_node/facets), you can see the newly created realm. I assigned the taxonomy vocabulary “Topic” to this realm. Up next is implementing a hook_form_alter() to integrate the facet into the search form. The search from block should now show an empty “Topic” facet. The last piece of code implements hook_luceneapi_facet_postrender_alter() which gives you the opportunity to modify the facet, and in the this case, add its options. Immediately after implementing this hook, if you krumo() or dsm() the $items argument, you’ll see the form element has no options. 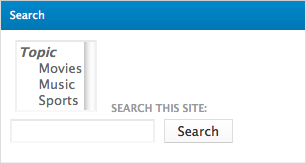 Reloading the page will now show the search form with a completed facet. Submitting the search form block with a selected taxonomy term will now take the user to the search results page with the taxonomy facet pre-selected!